The Wizard Series Material offers a .28mm double coating of PVC with tough nylon scrim material layered in between. Nylon Scrim has excellent rip and puncture resistance. The 300J yellow 2 piece jacket is a waist length option with a detachable drawstring hood and storm flap under a snap up front. No Magic here, the Wizard is just that tough! 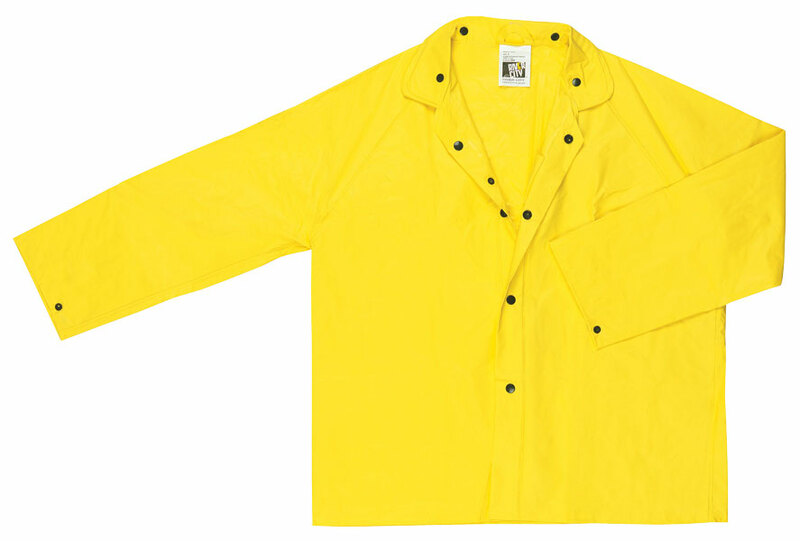 Limited flammability, NOT intended for use as protection against ARC Flash or Flash Fire.